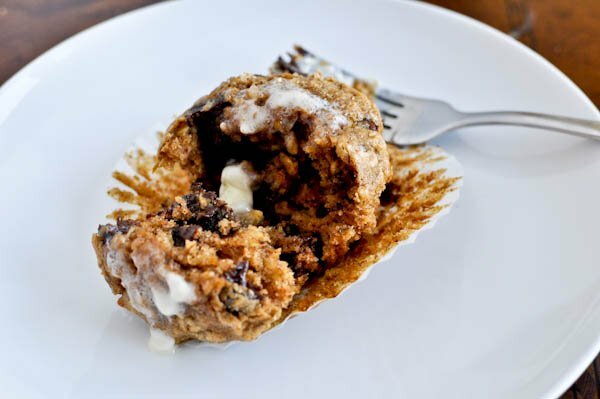 Oatmeal Chocolate Chip Cookie Muffins. Remember the days when I used to have an outrageous muffin obsession? I took a brief hiatus from muffin making, which I thought would help my creativity and my waistline. Instead, I baked things even more sinful and more addicting. Creative… maybe. Helpful to the waistline? Ummm… how about no. Needless to say, muffins came back with a vengeance. 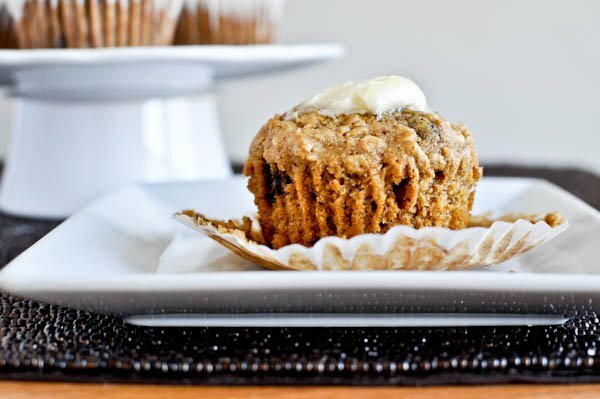 I am not joking when I tell you that these muffins taste like oatmeal cookies. No lie. You can even go as far to add raisins, but I’m just not down with shriveled fruit in my baked goods. Instead I choose chocolate. If I think these taste like cookies, I can almost guarantee that you will. 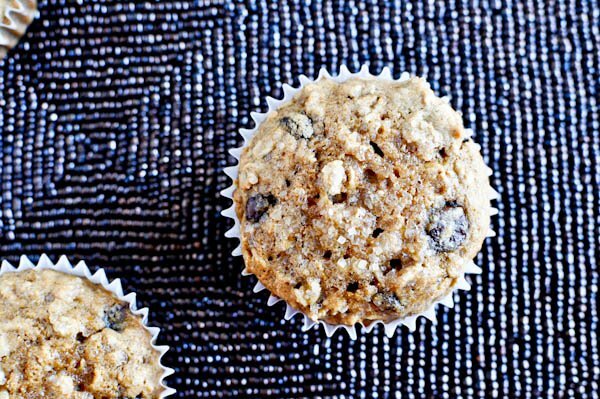 Healthy muffins that taste like treats! Remember me? I try my best to not consume green things unless we’re talking about apple flavored Jolly Ranchers or dyed adult beverages in Pittsburgh on St. Patrick’s Day. Yes, they have a little butter. Yes, butter makes the world go ’round. Yes, they taste delicious. No, you should not sub anything else for the butter. 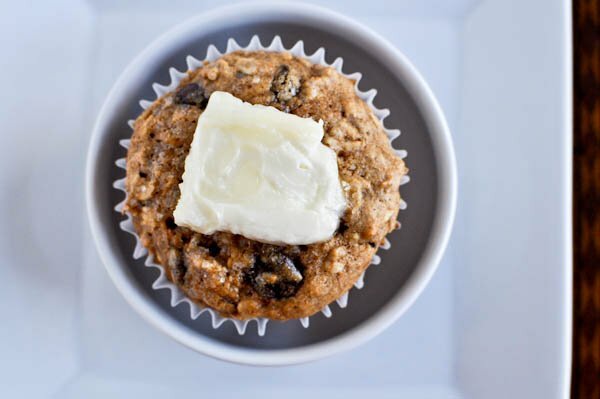 A quarter cup of butter spread throughout 12 muffins won’t hurt you. In fact, it will probably complete you. You can only make these on one condition: promise you will serve them warm with a dab of butter on top. 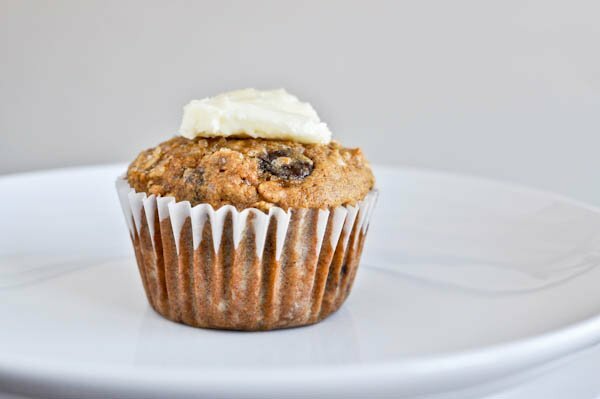 I proudly practiced portion control with the muffins, packing up two in my purse each day to snack on if needed. That was last week. Yesterday I found two muffins that were smashed to high heavens. I am weird. And usually hungry. I could only be so lucky to find two smashed muffins in my purse today. I made these yesterday when I got home. I couldn’t get over how easy they were to throw together. I made them in a jumbo muffin tin and used the peanut butter filled chocolate chips, they were a perfect breakfast this morning. Maybe next time a mix of pb & choc chips. I know this is an oldie on this blog but glad I searched the archives for it, I only started reading your blog about a year ago. Thank you! Good recipe, but the batter was waaaaaay too watery! 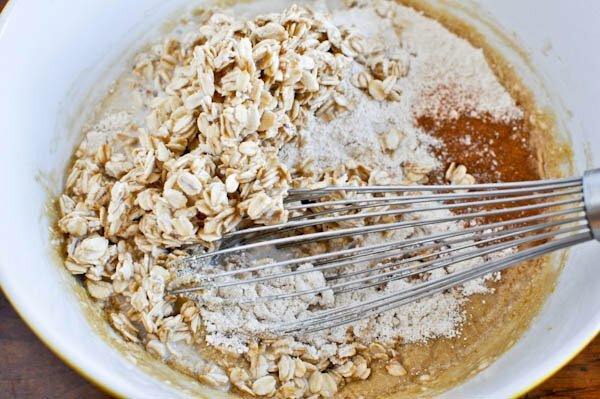 Added another 1/4 cup flour. They cooked in 16mins and tasted great. Definitely needs that extra bit of flour.